In the early days of this blog, I started a series of “Childhood Memory” posts and planned on it being a recurring theme. I completed a grand total of two – one about my fortune of seeing Elvis in concert and another about our family road trips. Obviously, the theme was neglected, and I moved on to other topics. Then, I read a recent post by Becoming Cliche about a family hike to Alum’s Cave Bluff, one of my favorite trails, and it reminded me of more childhood memories. Make no mistake, my family was not into hiking, but we spent many weekends in the area. The trail to Alum’s Cave Bluff winds through the Great Smoky Mountains National Park in eastern Tennessee. Nestled in the hollow of those mountains at the entrance to the park sits Gatlinburg, a small town that grew into a tourist destination. I describe it as the Tennessee version of Vail. Today, Gatlinburg is a collection of theme restaurant chains, drinking dives and cheap t-shirt shops. And, if you don’t know the back way you get to it by driving through the monstrosity that is Pigeon Forge. Don’t get me wrong. There are great places in the modern Gatlinburg like the Lodge at Buckberry Creek, but this isn’t the place of my childhood. My Gatlinburg existed when Pigeon Forge was a few buildings along the highway and t-shirts were made of better material. Instead of writing an essay about the joys of old Gatlinburg, here is a list of the things I remember most. Anticipating our arrival while taking the winding, creek-following road between Pigeon Forge and Gatlinburg. Playing miniature golf at Adventure Golf and my dad letting me win. Having a picnic in the park and my grandfather (Daddy J) brining his red cooler full of Cokes. Driving around the loop at Cade’s Cove. Going to Christus Gardens and getting freaked out when the eyes on the Jesus sculpture followed me. Watching the taffy machines in the windows of the candy stores. Eating butter and crackers on the porch of Howard’s Restaurant. Sitting in the rocking chairs of the Midtown Lodge and watching people walk by. Begging my parents to let me play at Hillbilly Golf. Skipping the Pancake Pantry because of the line and getting donuts at the Donut Friar instead. Riding to the top of the mountain and taking a few steps on the Appalachian Trail. Riding go-carts in Pigeon Forge and my dad letting me win. Eating the caramel off the caramel apple and leaving the apple behind. Listening to my mom and grandmother (Mama J) talk about gossip from back home. Running into people that we knew from home. Riding the skylift and getting our picture made at the top. Going to Rebel Corner and not understanding why my dad and Daddy J were laughing at what the t-shirts said. Eating a the Peddlar and getting sliced Vienna sausages from the salad bar. Watching a national park movie on the first IMAX theater I ever saw. Going to the Sugarlands visitors center and studying the big map of the park. Figuring out if people actually lived in Gatlinburg or not. Hoping to see a bear. Falling asleep on the way home. 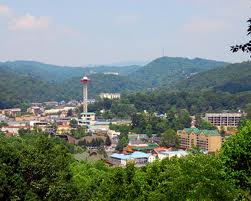 For those of you who have never been to Gatlinburg, you should experience it at least once. Just know that it is not as good as it used to be. The historian side of me knows there was never a “good old days”, but the person part of me knows there was. I saw Gatlinburg in the “good old days”. Butter and crackers? Seriously? What kind of crackers were they? Yep. Butter and crackers. Not the saltine kind. It’s the other ones that are rectangle shaped. I forget what they are called, but you can always find them around salad bars. They brought them in a big basket.